National Disability Employment Awareness Month (NDEAM) dates back to 1945. Initially, the first week of October was established as “National Employ the Physically Handicapped Week” by Congress. Over time, the name was changed to acknowledge individuals with all types of disabilities and their meaningful contributions in the workplace. The Office of Disability Employment Policy, under the United States Department of Labor, took ownership over the campaign in 2001. Every October, this national campaign aims to raise awareness about the employment issues that individuals with disabilities face. The theme for 2018 is “America’s Workforce: Empowering All.”Knowing your rights as an individual with disabilities can help empower you in the workplace. Everyone is legally protected from workplace discrimination and mistreatment. If you believe that your rights are being violated, rest assured that our experienced employment lawyers have the skill and dedication needed to handle your case. The Americans with Disabilities Act (ADA) was passed 28 years ago. This law ensures that individuals with disabilities are awarded the same rights and opportunities as everyone else. The law offers protections for many facets of life, including access to state and local government activities, public transportation, and more. The ADA also offers vital workplace protections. Title I of the ADA protects qualified employees with disabilities. It prohibits employers with 15 or more employees from committing any form of disability discrimination. 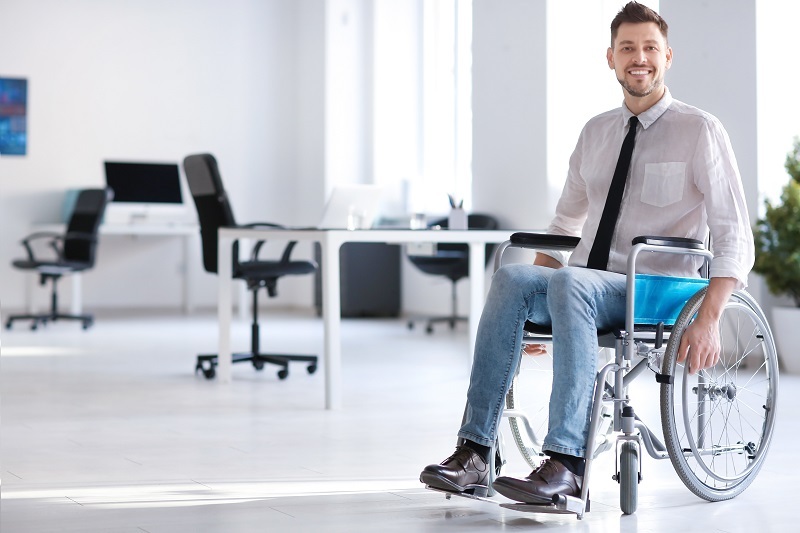 Under Title I, employers must also make reasonable accommodations for employees with disabilities, unless the accommodation would cause undue hardship. If you have a qualifying disability and are capable of performing the essential functions of a job, the ADA protects you from workplace discrimination based on your disability. If you have a disability, it is important to understand your workplace rights. If you feel that have received unfair treatment as an employee or job seeker, our experienced legal team can help. Discrimination is something that we take seriously. Workplace discrimination can pose a threat to your livelihood and your wellbeing. Everyone deserves to work in a safe and respectful environment. Employers need to make sure that they are not infringing on the legal rights of their employees. At Lewis Kuhn Swan PC, we offer free case evaluations to discuss the details of your situation and determine one or more appropriate courses of action. If we represent you, we will fight tirelessly to protect your rights and best interests. While every case is different, we have a proven history of successful verdicts and settlements. If you believe you have been discriminated against based on your disability, please contact our attorneys. Schedule your complimentary case review today by calling 719-694-3000. At Lewis Kuhn Swan PC, we proudly represent clients from Colorado Springs, Pueblo, Castle Rock, and nearby Colorado areas.